chemicals specialist Archroma has extended its non- PFC based durable water repellent protection range with the addition of a more nature-friendly offering. 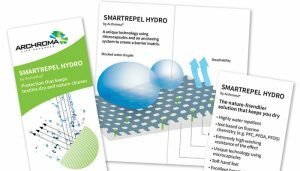 Smartrepel Hydro AM offers “exceptional” durable water repellency to polyester, polyamide and cotton-based textiles, and is based on distinctive micro-encapsulated, highly biodegradable, non-PFC based technology, says the firm. Developed as a ‘universal’ water repellent, it comes with a new, advanced formulation. 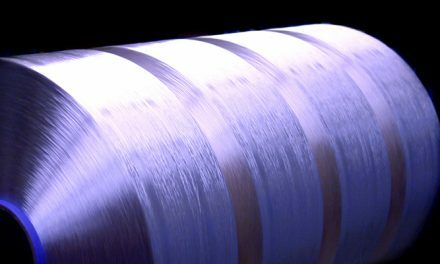 It allows fabrics to have a “soft handfeel,” while its durability can be boosted with the application of a special formula. For textile manufacturers, the new formulation shows improved runnability and reduced roller build-up, allowing seamless application in both pad and exhaust application processes.”This advanced version of our Smartrepel technology combines, into one product only, two benefits that are sought after by outdoor brands and retailers: a nature-friendlier chemistry, together with long-lasting, efficient water repellency for all fibres,” says Georg Lang, Global Head of Product Marketing finishing at Archroma. 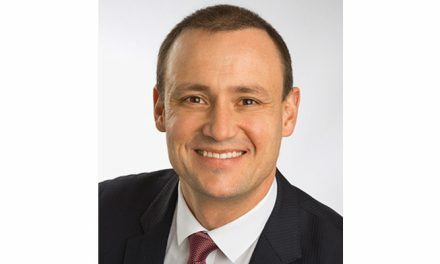 “Smartrepel Hydro AM brings onto the market a positive alternative to conventional fluorocarbon-based water repellency products.” Archroma says the range supports the increasing adoption of eco-advanced materials and production processes by brand owners and textile producers adhering to industry initiatives such as the ZDHC programme or eco-label standards such as Bluesign and Oeko-Tex.